WIN #21: Home Baking Gift Set from Rock Bakehouse plus 3 runner up prizes! Win a Home Baking Gift Set worth £39 from Rock Bakehouse & 3 runner ups! Rock Bakehouse was founded by Nathalie in 2011, as a cake decorating school in West Hampstead, London. They launched their kitchen homewares and products in 2014, they design and produce unique, useful and contemporary homeware and gifts made in the UK. 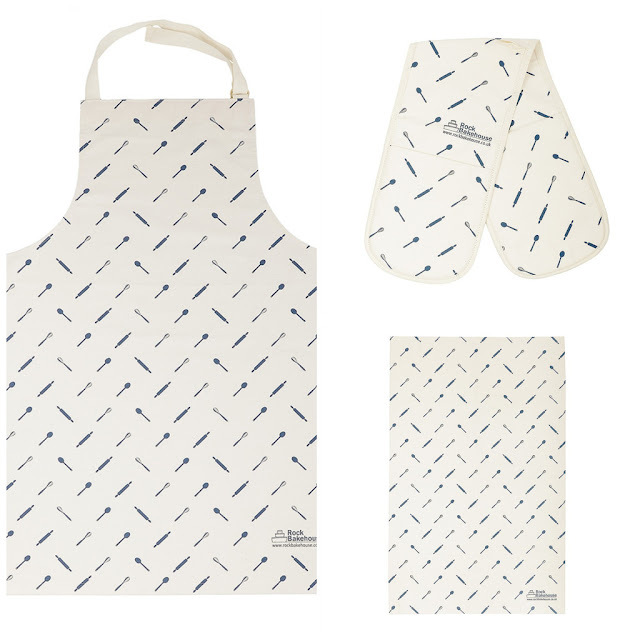 All their eye-catching products are printed in the UK on premium quality tea towels, aprons, oven gloves, prints and cards, making them the perfect gift or addition to your home. They aim to make fun and original products that are great to use in the kitchen or to decorate your home. Rock Bakehouse kindly got involved in Unique Young Mum's blogiversary and has the following to offer to four lucky winners! 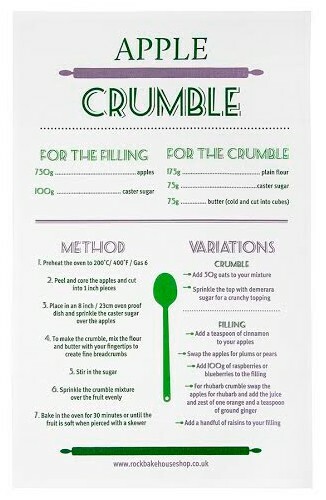 This useful kitchen tea towel features a traditional Apple Crumble recipe. All the ingredients are listed and there is a easy step-by-step guide to making your crumble. Made from 100% premium cotton, screen printed and sewn in the UK. Comes with hanging loop to hang in your kitchen. 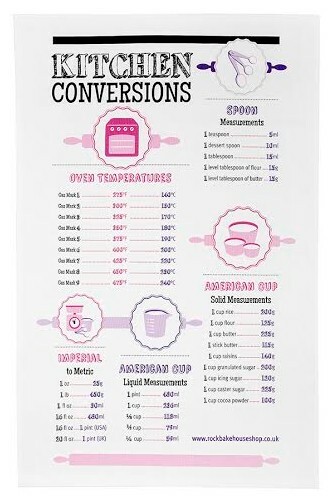 This useful and unique kitchen conversions tea towel helps you out with converting all your favourite recipes. If you find yourself using a recipe and want to convert the measurements to something you are more comfortable with then this is a great solution. Made from 100% premium cotton, screen printed and sewn in the UK. Comes with hanging loop to hang in your kitchen. 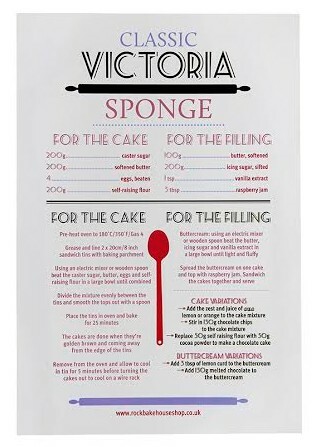 Traditional Victoria Sponge recipe tea towel with recipe variations and tips for you to make your perfect cake at home. Made from 100% premium cotton, screen printed and sewn in the UK. Comes with hanging loop to hang in your kitchen. Please note: You must at least follow/like Unique Young Mum and Rock Bakehouse on at least one social media platform! To find out more about Rock Bakehouse, and to view their full range of products, check out the official website.